Summer is here and Red Hat summit is close - just in time to get a feature loaded Beta of JBoss Tools and Developer Studio! JBoss Developer Studio is a fully bundled Eclipse distribution which not only includes the majority of JBoss Tools but also all its needed dependencies and 3rd party plugins, allowing for an easy one-click and no-fuss installation. This release is a Beta and is built against Kepler M7 (Eclipse 4.3M7) but should work with the ongoing Eclipse RC builds also too. When you report bugs/issues please mention which Eclipse Kepler build you used. 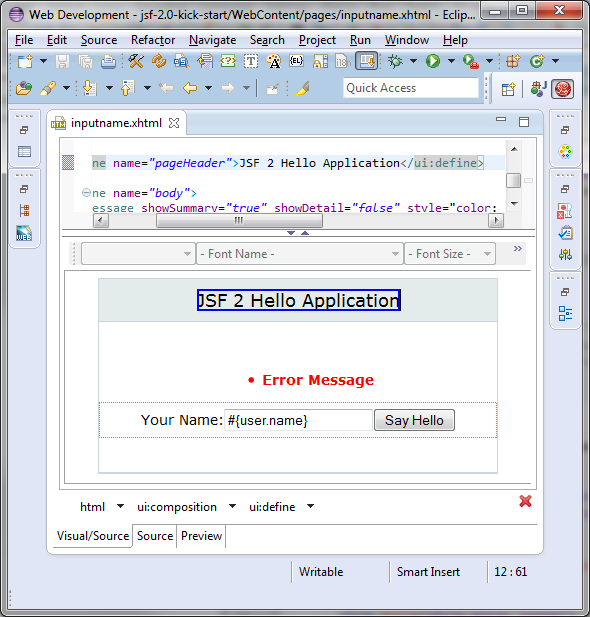 From within Eclipse Kepler you can use the Marketplace or Download Developer Studio and be sure to have the exact correct Eclipse base. And below is some of these highlights plus a few extras that did not made it into the video. In the previous release we added LiveReload support to eclipse allowing you to have your browser automatically refresh (live reload) when saving files in Eclipse - no need to going back and forth your editor and the browser. 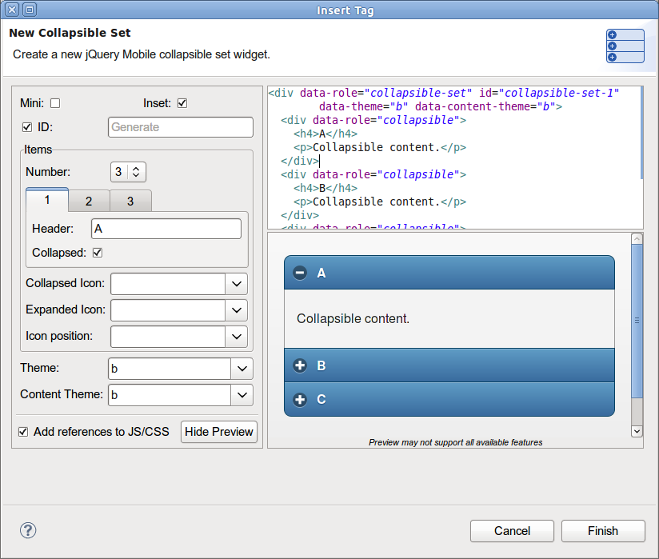 Server mode means you can use live reload not only for plain HTML pages but also when editing JSF content like xhtml. Giving you fast and easy feedback. This works automatically for any JBoss server adapters - no setup needed besides creating and starting Live Reload server from Eclipse and use Live Reload plugin in your browser. If your browser does not have the live reload plugin, for example on your tablet or mobile phone or you want to use Safari browser, it is normally requried to manually add the livereload.js in every html. That can be tedious and requires changes to files you might not want to commit to your source repository - thus we've added so called "LiveReload Proxying". It is enabled by clicking "Enable Proxy" server and this allow you to proxy your file:// urls and have it served out on localhost:35729/<projectname>/<filepath>. For security reasons, we don't enable remote connections by default, thus if you want mobile devices to be able to load the page, enable "Allow Remote Connections"
and finally enable "Inject the livereload.js script in HTML pages" to have live reload automatically work in browsers without the live reload plugin. Try it out and let us know if you like it. BrowserSim used to do testing of your web pages on mobile devices with a beautiful skin now has support for showing and synchronize browsing across multiple devices. This is useful to view both horizontal and landscape mode at the same time but also to view how layout is different on different devices. The majority of the feedback we got for the awesome integration of Forge into Eclipse was that many preferred to use a wizard over only having access to a "command line style" UI. Part of Forge 2 is to make that happen natively but is not released yet - thus in this version we've fronted some of the Forge 1 commands with wizards to make Forge 1 easier to use today. You find these wizards under "File > New > JBoss Tools". 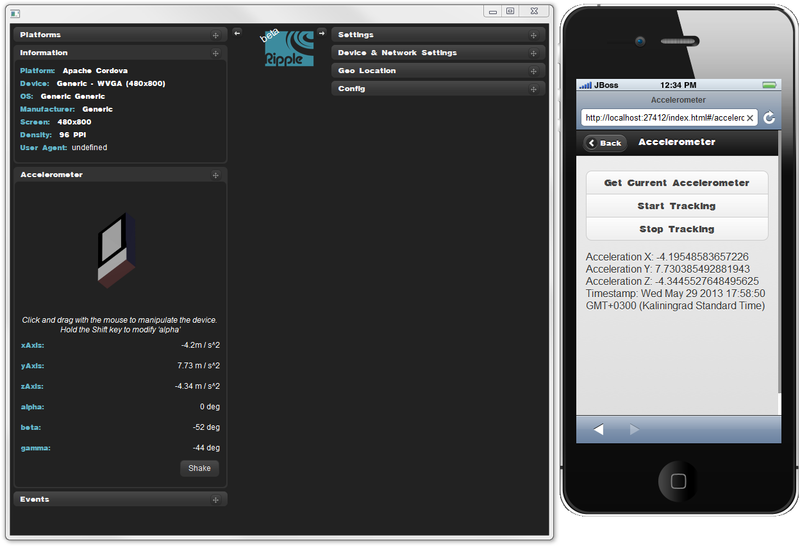 The html5/mobile jquery palette added support for more elements and fixed a bug that prevented preview to work on OSX. Ever since we added OpenShift support to Eclipse we've had the problem that EGit did not allow streaming of console output when performing a push. This mean that when doing a long running push Eclipse would just have a blank console and show "Push in progress". and you can now see what is going on. 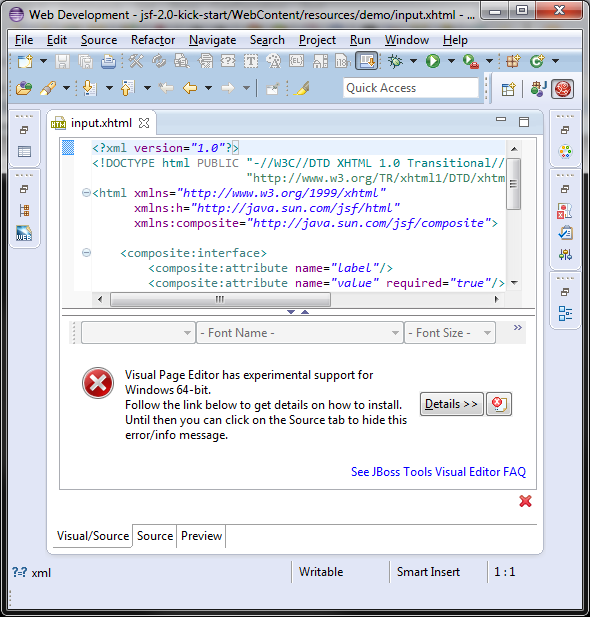 A long standing issue for our Visual Page Editor is the lack of proper Windows 64-bit XULRunner integration. We would love to hear if this works for you on Windows 64 bit or if you still see problems. If you are into Mobile development we now have experimental support for developing Hybrid mobile applications with Apache Cordova. 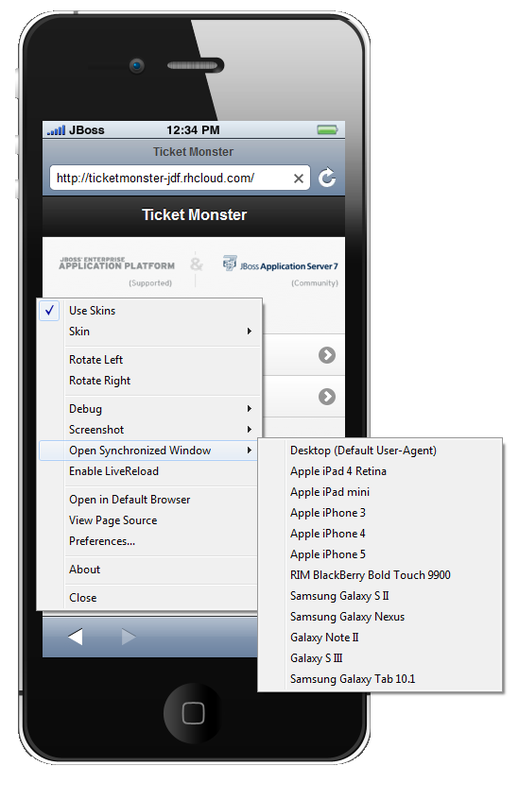 You can create a "Hybrid Mobile" project and test and develop it using the Android SDK and XCode for iOS testing. 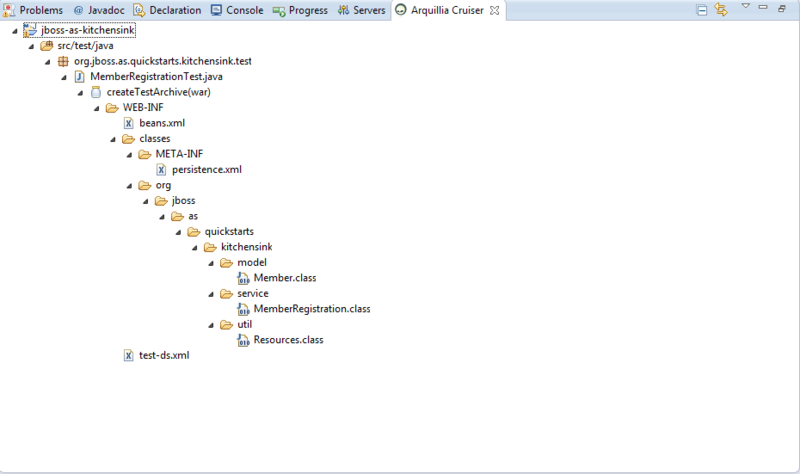 As a last but definitely not least feature we've added in tooling to enhance your experience with Arquillian. You can now easily enable it on Maven projects (we add in the proper dependencies and profiles) and then provide configuration of a JUnit launch with Arquillian specific features. And there is an Arquillia Cruiser view to show what the archive will contain. The JBoss AS project was recently renamed to WildFly and did their first Alpha1 release. We plan on adding adapter specifically for WildFly in next release. 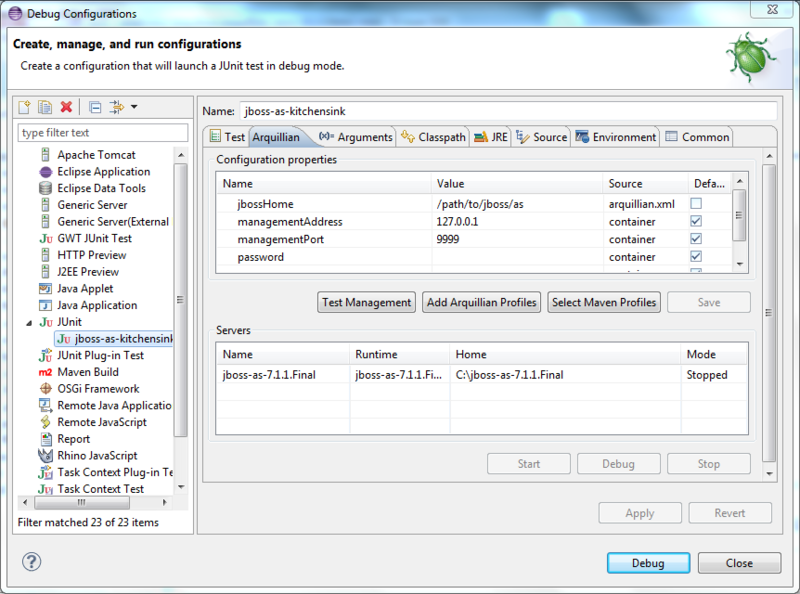 For now you should be able to use JBoss AS7.1 and EAP 6.1 adapter since Wildfly is still compatible with these. We plan on having an additional Beta2 based on feedback from this release thus please give it a try, contact us on our forum with feedback and irc if you are interested in contributing!